National Adoption Week 2018 will take place from the 15th to 21st October. The week will celebrate all that is great about adoption to encourage more people to come forward and help children find a permanent family. If you are an adopter or an adoptee, then we want to hear from you. What is the best bit about adopting? What do you know now that you wished you’d known then? Why was adopting the right choice for you? 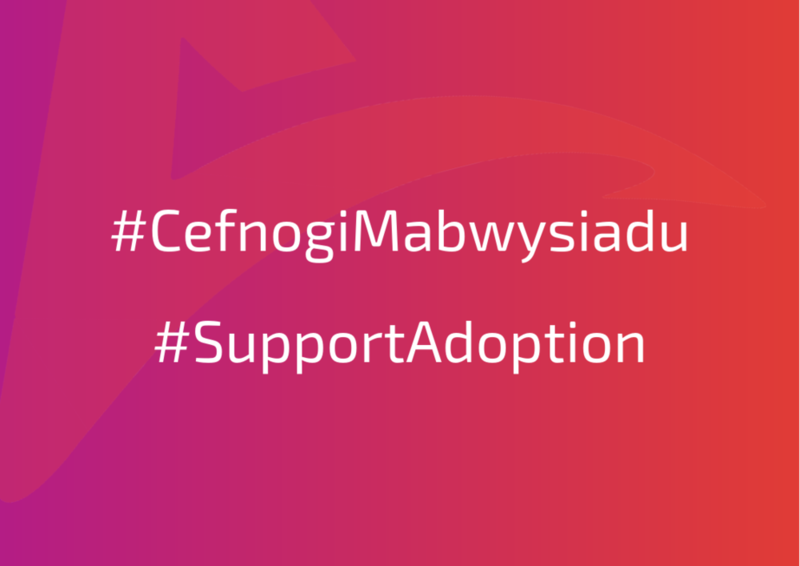 Share your stories on social and tag @nas_cymru #SupportAdoption or email nas@wearecowshed.co.uk for more ways to get involved. Take a selfie with our #SupportAdoption placard. Print, hold and snap! Or simply, download this handy gif. If you want more information about adoption, contact your local adoption agency. This is your chance to be a part of something that shines a light on adoption to help find homes for those children who so desperately need them. If you live in England please visit First4Adoption for their National Adoption Week activity.